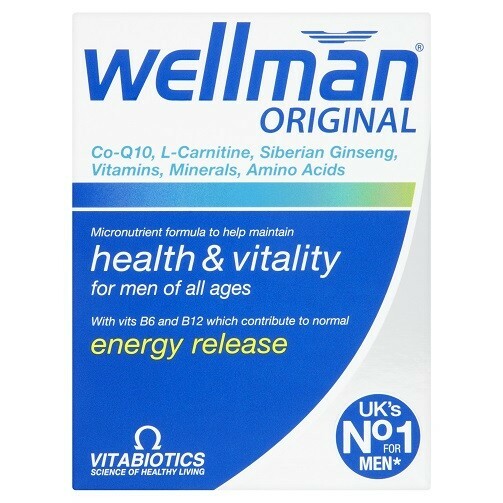 Wellman has been developed to safeguard the particular nutrition needs of men. Recommended for men of all ages it is ideal for sportsmen and those with a hectic lifestyle. Wellman's 28 bio-elements includes: Antioxidants and essential nutrients for the human immune system natural beta-carotene vitamins AC & E minerals amino acids and bioflavonoids and zinc a mineral involved in reproductive health. Garlic and ginseng are also added for their natural health benefits. One capsule per day with or immediately after your main meal, with a full glass of water or a cold drink. Wellman should only be taken on a full stomach. Healthcounter Ltd is a limited company registered in England and Wales. Registered Number: 06646711. Registered office: 5 Peterwood Park, Peterwood Way, Croydon, CR0 4UQ.